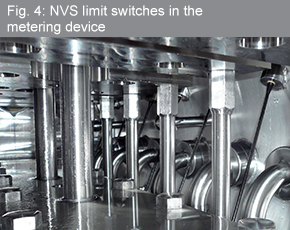 The sensors for filling level measurement and overfill protection originally installed in the filling machine were replaced by sensors from Negele Messtechnik. 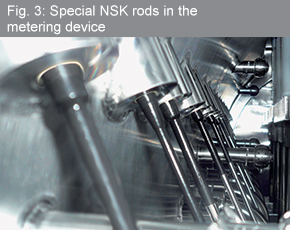 Monitoring in the seven dosing chambers is now performed by continuous level sensors of type NSK-187 (Fig. 1 and 3). 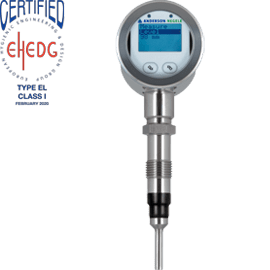 These sensors not only achieve short measurement and evaluation times, they also offer very high precision, even at low filling levels. The sensors work independently of the medium being measured, delivering precise results even in pasty, adhesive materials (such as fruit additives) and in foaming media. 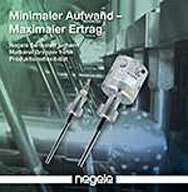 Because they do not need to be calibrated, they can be applied very flexibly in the production plant. In addition, they are highly durable, resisting both the media in which they are immersed and the rapid and frequent temperature changes that occur during CIP/SIP.